A beautiful way to display the moments that define you as a sportsman. 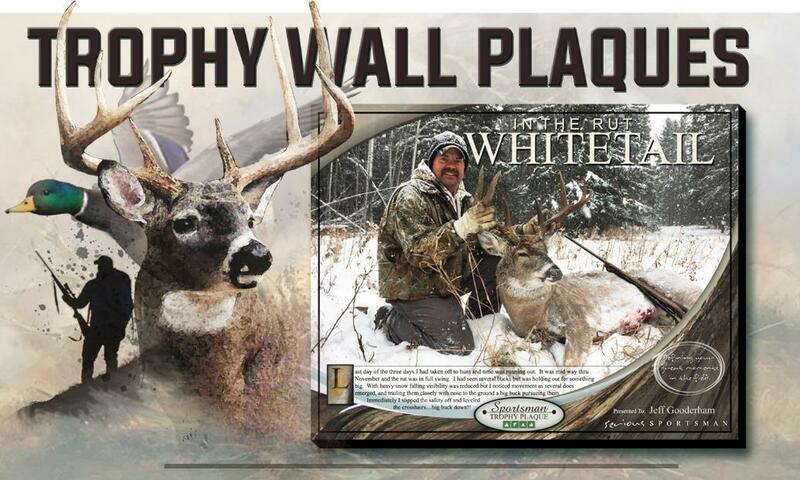 14 X 17 inch wall plaques to display your hunting and fishing trophies. In this digital age getting your trophy on the wall has never been easier. 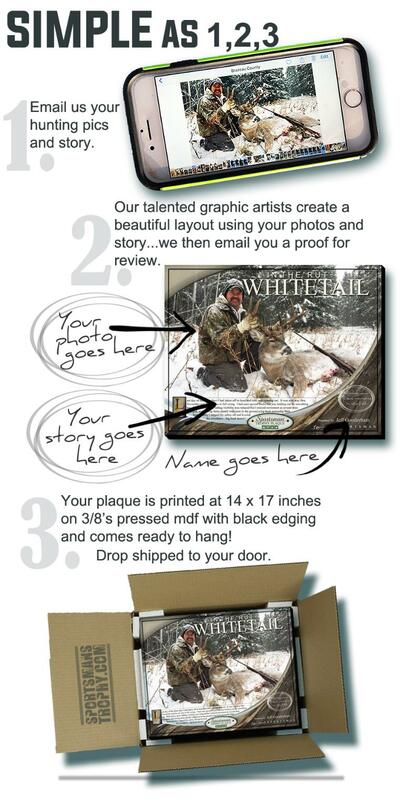 Our hunting and fishing wall plaques feature your photo and capture the trophy and the memory forever. Now you always have a way to display your hunting and fishing trophies. Proud to offer printing facilities in both Canada and the USA to serve the great sportingmen, women and youth across our nations. We print and ship your wall plaque direct to your door. 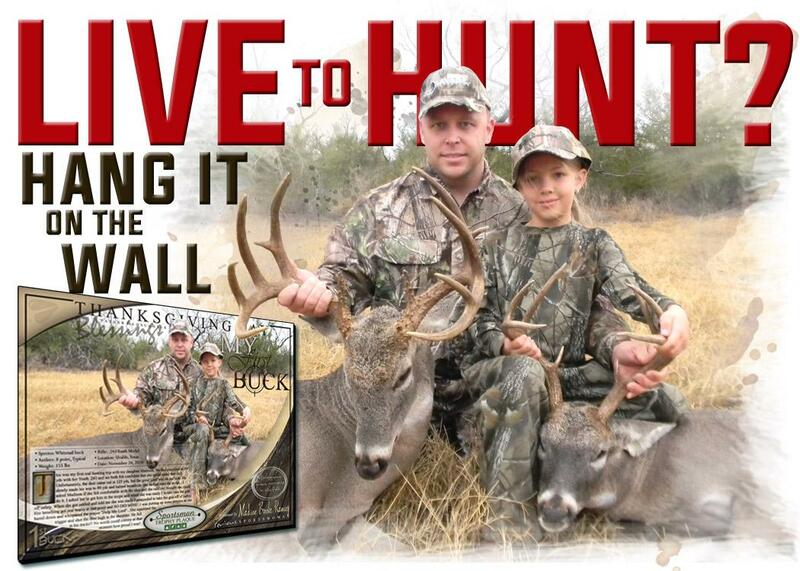 From big game hunting to bird hunting and everything in between, we're your source for getting your trophy on the wall! Our wall plaques feature your trophy and the story behind it, beautifully preserving and displaying the full hunting experience! Collect and display them and build your trophy wall! Catch and release with confidence knowing with the photo you took you can still put that fish on the wall. Sportsmans Trophy is the perfect way to display your greatest memories on the water! From minnows to monsters, we got your trophy fish covered! Sportsmans Trophy wall plaques make a great gift for sportsmen and women.